These days we all work so hard to build up and empower our kids to be strong and confident. 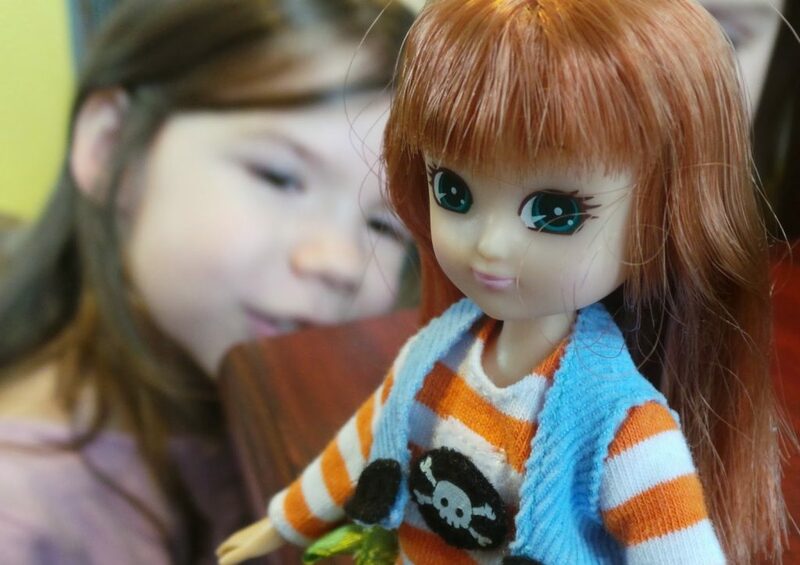 Lottie dolls are trying to empower little girls through their dolls. These are not just another fashion doll. They are striving to be a wholesome doll alternative for children aged 3-9, and Lottie is the perfect size for little ones to carry around! One key thing you will notice about Lottie is what she doesn’t have: make up, jewelry, high heels, or a ladies figure. She can also literally stand up on her own 2 feet, which is something we all want metaphorically for our kids. Lottie is easy to dress. Each part of her outfit has velcro fasteners, making it simple even for the littlest hands to easily dress and undress her. My four year old was quickly able to strip and redress her without calling for help. Lottie’s hair is also incredibly soft, and not prone to tangling like other dolls. We love that there are many different choices in themes for your Lottie Doll from Engineer/Robot Builder, to Light House Keeper, to Butterfly Protectors, etc! It’s not all princesses and shopping. 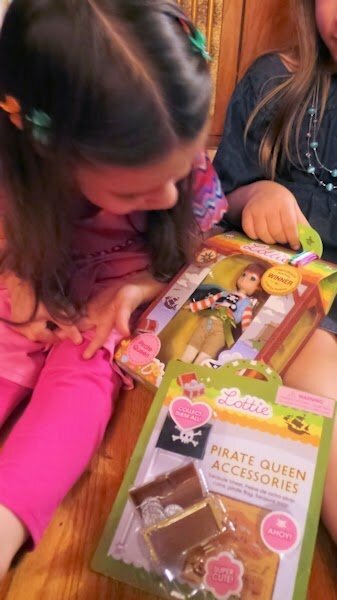 We were sent the Pirate Queen Lottie and Pirate Accessory Pack to check out. 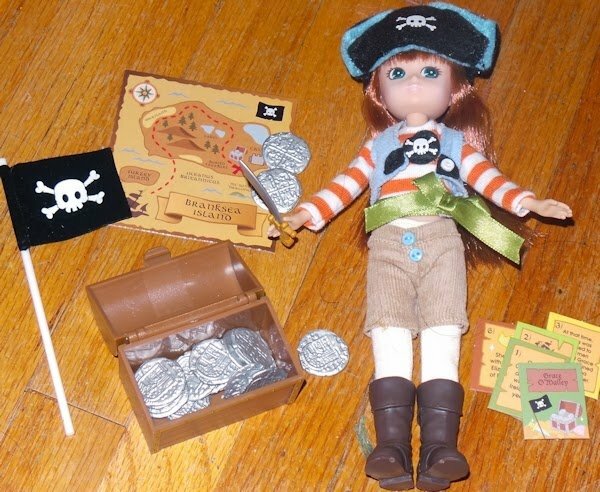 * Lottie being dressed like a pirate is tied in with historical female pirate, Grace O’Malley. * Pirate symbol on her shirt is a removable velcro patch. * The cute sash is actually a velco belt, stitched so that it is permanently tied. * All of her clothes is easy to take off and put back on, even the soft plastic boots. * She can hold her cutlass, if you angle it just right. * Her knees bend, and she can sit. * She can also stand on her own. * The flag in the pirate accessory kit is made of fabric. * The treasure chest and pieces of eight are well made and much loved by my kids. * Her hands are in a goofy pose, and my kids were disappointed that she can’t hold the pirate flag. * All those bits of cardboard; the pirate map, the tiny cards about Grace O’Malley. I suspect they will quickly be lost or destroyed. I am excited that these cute little dolls are now readily available in Canada. The dolls retail for $19.95, the accessory packs are $9.95. You can find them at Mastermind Toys, Toys R Us and independent retailers across the country. 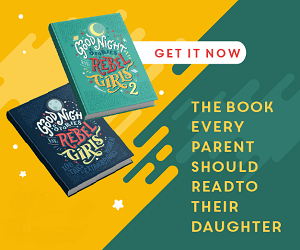 Click here for a complete list of where to buy Lottie in Canada. Also be sure to sign up for the Club Lottie newsletter for access to limited edition dolls, exclusive bundle offers and contests.